Nearly 40 percent of jobs in the U.S. may be vulnerable to replacement by robots in the next fifteen years, according to a new study by the research firm PwC. Other major advanced economies have fewer jobs at risk. The study estimates that 30 percent of jobs in the United Kingdom could be threatened by technical advancements in automation from AI and robotics, compared to 35 percent in Germany and 21 percent in Japan. Less educated workers face the highest risks of automation. But these new technologies will also boost productivity, wealth, and spending. This should generate jobs in service sectors that are less easy to automate, but could also increase income inequality. We know additional airports are difficult to build, and are the mercy of wind directions and speeds when it comes to takeoffs and landings. Limit to their capacity can also cause delays. 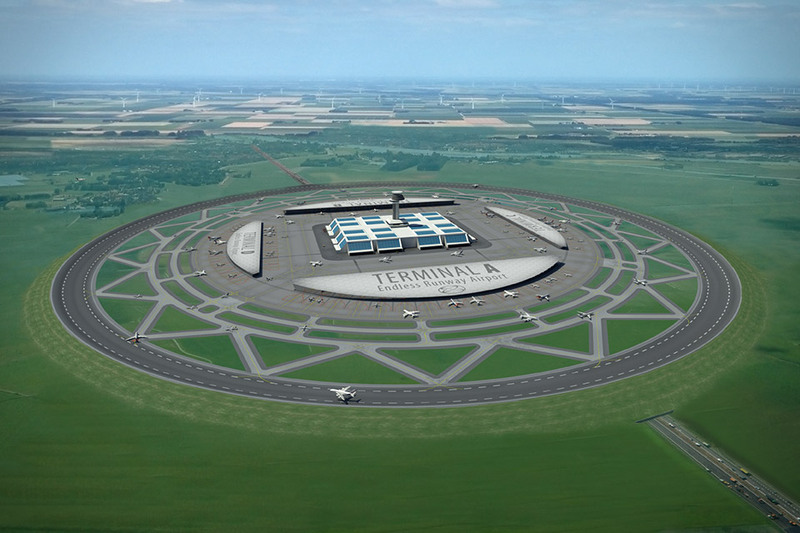 The Endless Runway Circular Airport is a new concept that would use a circular, 3.5 km banked runway to ensure planes always land and take off with a headwind. Big enough to fit even a major hub airport inside, it would also take up less space than some conventional layouts, allow up to three planes to take off or land at once, and seamlessly adjust to the conditions outside without needing to make runway changes. In many large Chinese cities, there are many brightly coloured “dockless” share bikes, haphazardly piled on the pavements in their thousands. Dubbed “Uber for bikes”, they are the product of a whole host of new startups, aggressively competing for territory and investment. The scale is stunning -- in less than a year, Mobike alone has flooded the streets of 18 Chinese cities with upwards of a million new bikes. Since last April, the company has placed more than 100,000 of their trademark orange-and-silver bikes in each of the cities of Shanghai, Beijing, Shenzhen and Guangzhou. In the EU, using the AirDonkey app, one can rent one's bike out when not using it. To "donkify your bike," you order an AirDonkey kit (which is expected to cost 80 euros), which contains a lock and panel that you mount on your bike. You park your bike wherever you like and then take a picture of your bike. Then, you create a profile for your bike on Airdonkey, upload your picture, choose a drop off location, list unique features of your bike, for example, a baby seat or a carrier on the back, and lastly you select a daily and weekly rental price for your bike. Who would have thought -- react decisively to the financial crisis, come out on top. Iceland thaws! Iceland eased capital curbs ending almost 9 years of controls on businesses and citizens -- established after its banks collapsed during the financial crisis. Icelandic banks crashed under the weight of debts amassed over years of overseas expansion. As with Ireland and other states, instability spread throughout other European nations. Such excesses helped to inflame the financial crash. The government started dismantling capital controls last year by easing restrictions for local residents, in an island country with around 330,000 people. Nine years after a giant banking crash made Iceland a symbol of the global financial crisis, the government on Tuesday effectively declared that financial stability had been restored as it ended longstanding restrictions on the flow of money into and out of the country. How many times have you been hiking with your dogs along your favorite river, stream or creak, only to cringe at the plastic bottles, cigarette butts, and other crap floating past? Maybe you have participated in "clean the creek" activities, like we have around our area? How about applying some basic mechanical engineering ingenuity to automate clean-up? In Baltimore, Maryland some enterprising persons have done just that... With a water wheel!